Fig. 3.3 Title Page. 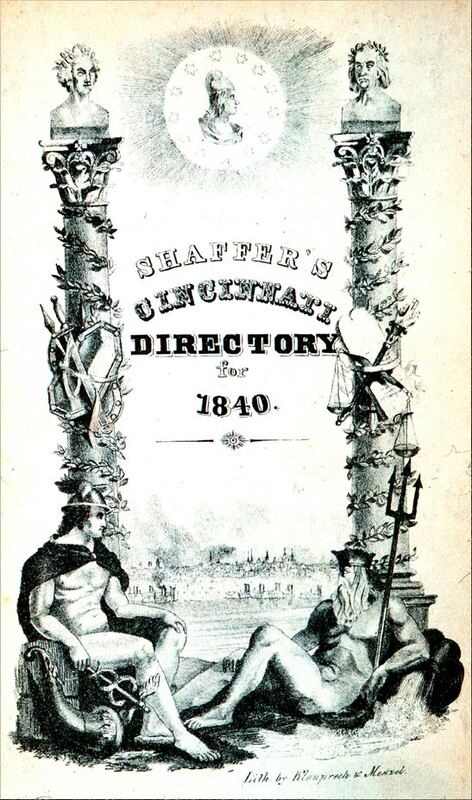 Schaffer's Cincinnati Directory for 1840. Klauprecht & Menzel. Lithograph. 7.75 x 5 in (19.69 x 12.7 cm). David Henry Shaffer, Shaffer's Cincinnati Directory for 1840 (Cincinnati: printed by J. B. & R. P. Donough, no. 106 Main Street, 1840), title page. Archives and Rare Books Department, University of Cincinnati.